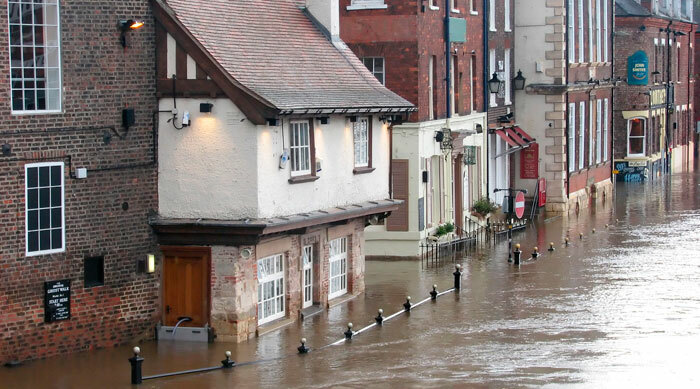 Staff were forced to shut down the pumps and open the barrier after water got into the Foss Barrier Pumping Station in York on Boxing Day, when exceptionally high rainfall and river levels led to extensive flooding in the city, an independent report has revealed. The EA said the report’s recommendations to minimise the risk of water entering the facility in future will be addressed in the £17 million upgrade currently underway at the pumping station. This includes addressing water leaks in the service tunnel and new pumps with an increased capacity which will be installed by winter 2016. By the end of 2017 the pumping station will have been raised to ensure the barrier is more resilient in the long term. The EA’s decision to raise the barrier on the evening of December 26 prevented even more widespread flooding, and delayed the peak water levels on the River Foss by some 18 hours. EA staff opened the barrier after water entered the building, forcing them to turn off the electricity supply and the pumps. The report found that a build-up of water in the barrier’s underground service tunnel, combined with water flowing through the drainage system, filled the service tunnel until water emerged from the floor access points inside the pumping station building. The report concluded that most of the water that entered the building did so via the service tunnel drainage system through a combination of a leaking construction joint and an access cover which had been opened to pump water out of the service tunnel. EA chief executive Sir James Bevan said: “I welcome this report, which will help us make the Foss Barrier even more resilient in future to extreme floods and greater flows on the River Foss. The upgrade work, which began in April, will see the pump capacity increase, providing a higher standard of protection for local people.